I recommend the muscle building programs based on training levels. I often see training levels defined by the amount of time spent training. Under that classification system, I was an advanced trainer long before I ever figured out how to make any muscle stick (I did have an “advanced” knowledge of what didn’t work). It is a flawed system. For the purposes of this site, I define mass gain training classifications based on results. Anyone completely new to training OR anyone who has never experienced significant results. If you aren’t 20 to 30 pounds of muscle heavier than when you first started, you’re likely a beginner (whether you’ve never trained or trained for 10 years). Someone who has made some impressive progress but isn’t yet closing in on their genetic potential. A frustrating place to be… being at this level means that your gains aren’t coming as easy as they once were. You still have the potential for impressive gains but you must do more to get the body to react and successfully conquer plateaus. Someone who is closing in on their genetic potential. No-Nonsense Muscle Building teaches muscle building through a bodybuilding and fitness approach. I recommend Vince Delmonte’s No-Nonsense Muscle Building, Sean Nalewanyj’s Body Transformation Blueprint or Jason Ferruggia’s Muscle Gaining Secrets 2.0 for the true beginner. These authors start at the beginning and go step-by-step through what it will take to quickly build significant mass. They all back it up with support that will greatly benefit you in your first few months. While the programs are a bit different from one another, they all incorporate the basic principles for mass gain. Delmonte uses a more bodybuilding-focused approach, Nalewanyj a more science-based approach and Ferruggia focuses more on strength gains. The important thing is that all three can take you from skinny to impressive in amazingly short periods of time. The Body Transformation Blueprint focuses on strength along with size gains. Don’t be fooled by my putting the “beginner” tag on these programs. It just means that they can take you from zero to complete knowledge. Take a look at the authors (Delmonte, Nalewanyj, Ferruggia) and realize that they don’t go much beyond what they teach and they have built some incredibly impressive physiques. These programs will take most trainers as far as they want to go. Will Brink’s Bodybuilding Revealed (BBR) is another option for beginners (or, really, trainers of any level). It concentrates not so much on giving you a definitive program to follow but rather on providing you everything you could possibly need to know to develop a productive program. It is a monstrous amount of quality bodybuilding information and resources minus all the crap. Dollar for dollar, BBR is the best value out there. However, a lot of trainers are probably best off following a set training plan and Brink’s stuff can create information overload for complete beginners – it goes into greater detail on supplements and dieting than the casual trainer may care to know. If, however, you are the type that likes to learn and build your knowledge base along with your body, BBR is a great option. MI40 teaches novel time-under tension techniques. Before tackling a program tagged “intermediate – advanced”, you want to have some training experience. You want to have comfortable with basic strategy and techniques as well as a solid understanding of the discipline it takes to get big results (diet and training). Be aware, these programs do assume prior experience and can leave a true beginner lost. However, if you have reached the intermediate level (see above) these programs can introduce you to new techniques and approaches that can potentially increase your results. Mad Scientist Muscle prescribes training based on “Bulgarian” methods. Ben Pakulski’s MI40 Program teaches a fairly unique time-under-tension approach. Nick Nilsson’s Mad Scientist Muscle and Muscle Explosion introduce you to “Eastern Bloc” training methods that will push your body to the brink of overtraining (and then ease off). These program aren’t for the casual trainer, they require more dieting and training discipline than the more basic programs. If you have the discipline though , go for it and you will be rewarded. Also check out the Bodybuilding Specialty Reviews – these are programs that aren’t complete mass gain programs, instead they are programs that focus in on their authors’ areas of expertise. They allow you to learn from true experts in the various fields of bodybuilding training. It is simple, extremely effective and fast… so why don’t more trainers utilize this technique? Learn more about Modeling For Major Muscle Gain. 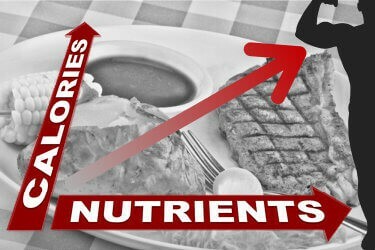 Learn the strategies behind the weight gain/muscle building diets that pack on pounds. Did Vince Delmonte Really Gain 41 Pounds of Muscle in 6 Months? Delmonte has caught some flak for this claim, find out some of the reasons for the skepticism and whether or not it was even possible.